OK Dori, you are second of my friends who has just brought up cleaning up and clearing out...guess I'd better get to it! It is such a beautiful and cheerful photo Dori! Have a nice weekend! There is a sliver of sun here, but it's very, very cold. The weather man says it will warm up by next week. I hope he's right! have a wonderful weekend, Dori! I actually remember this photo because of its beauty. I wish there were more hours in the day ... for clearing out some closets. What a great idea Dori, it's indeed a lovely photo. 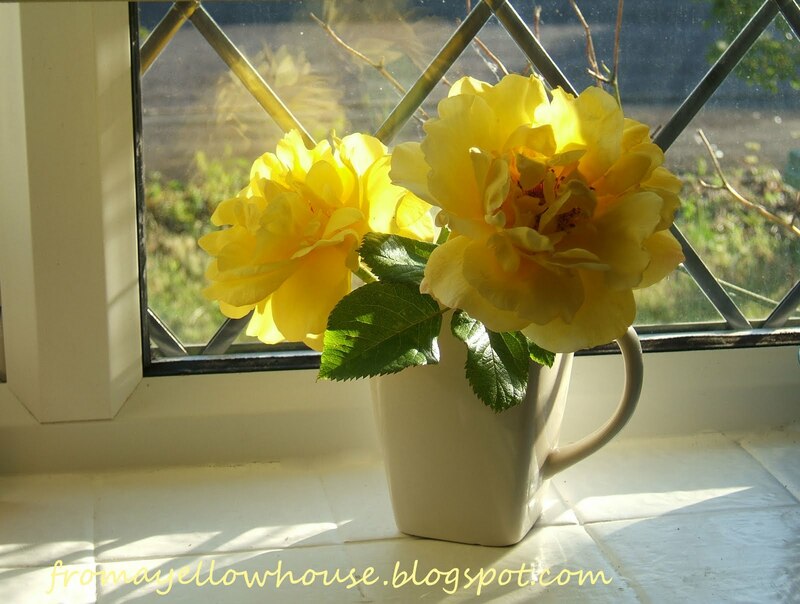 Yellow roses are beautiful, a delicate composition that light only comes to work. Now I'm here to reciprocate .... imagine ... Awards received one coming from USA and I invite you to participate. Feel very happy that the Sunshine Awards still doing a fantastic success in Brazil, it gives great satisfaction. It's beautiful, Dori. I needed a touch of sun as it's been dreary and rainy here last couple of days. Gorgeous as always! Yellow and flowers always do have the power to cheer one up! Thanks so much for your kind words of support at my blog! Thanks for sharing the beautiful image! Have a great weekend! I guess it's that time of the year :-) Have a great day my friend! Thanks! :-)You have a happy day too! I hope you got your warmer weather :) Have a great weekend! Absolutely, the sunny side way of thinking helps a lot :) And yeah, there is never enough time or space for all the stuff in those closets :) Have a great weekend! You are so sweet! I will post the award soon. Thank you! I love that it is about sisterhood :) You're the best! Have a great weekend. I'm so glad that my photo could lift your spirits :) I love sharing this with you! Have a great weekend! I'm so glad that my sunny photo made you happy too :) That's what I love about blogging...getting to spread some good from time to time. Hugs to you! I'm so pleased that you liked it :) You have a great weekend too!